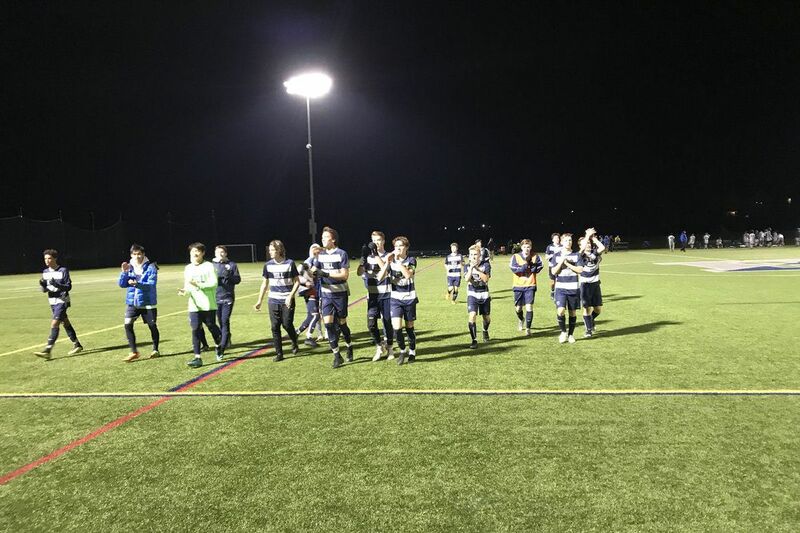 The Hill School boys’ soccer team defeated Mercersburg Academy, 2-0, in the PAISAA semifinals on Thursday. Euan Forrest and Hale Lombard scored Thursday as the Hill School boys' soccer team defeated Mercersburg Academy, 2-0, to advance to its record seventh PAISAA state tournament final in the last eight years. Forrest scored in the 17th minute, finishing a corner kick from Sam Beckett. The Blues made it 2-0 in the 66th minute on a Lombard finish. Alan Kim made three saves for the clean sheet. Hill School will face Springside Chestnut Hill next Wednesday in a rematch of last year's state final, won 2-0 by the Blue Devils. Springside Chestnut Hill advanced with a 1-0 win over Kiski Prep. Luke Greenberg scored the only goal. #HillersSoccer is off to the PAISAA finals for the second year in a row with a 1-0 victory over The Kiski School today! Alex Loomis scored the game-winning penalty kick as Baldwin took down Penn Charter, 4-3, in the PAISAA Tournament semifinals. Relly Ladner, Gia Vicari, and Brianna Wright scored in regulation for the Bears, who will play Episcopal Academy in next Wednesday's final at Immaculata University.